As a lifelong Vermonter (minus a brief foray down south to attend Davidson College in North Carolina), I realized while pregnant with my daughter Alice that it was time to take better care of my family. I’m surrounded by farmers’ markets, grow an extensive garden, and try to use safe cleaning products in my home (though some days as the dogs track through the freshly mopped kitchen I ask myself why I even bother to clean at all…). One area that was lacking was in the personal care products I was using on myself and my baby. You’d be amazed how many unpronounceable things are in baby shampoo! I found Beautycounter through my friend and classmate Trish Blackwell and fell in love with their education first mission and marketing approach. I hope through this site to share some of what I’ve learned on my switch to safer products and my journey to break out of my shell and redefine my definition of beautiful. Each month, I select 1-2 people to mentor so I can focus on coaching you to be the best educator and consultant you can be. I’m dedicated to the Beautycounter mission and your individual success. If you’d like to join the mission and #takethejob, click here and tell me why! The information on this website has not been evaluated by the FDA and is not intended to diagnose, treat, prevent, or cure any disease. All information and resources found on Better Beauty Vermont’s site are based on the opinions of the author unless otherwise noted. I am not a doctor, nor a nutritionist, nor a lawyer, nor a psychiatrist, nor a therapist and I don’t intend to be one. For medical advice, you should see a licensed medical professional. 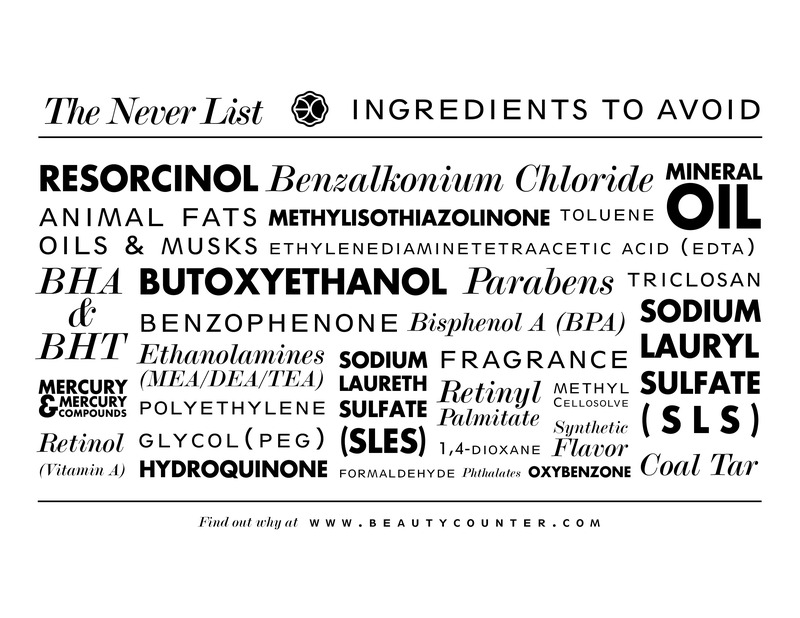 Manufacturers change the ingredients in their products frequently; always read labels or call companies to verify. FTC Disclosure: The FTC requires to disclose whenever there is a financial interest or bias related to a recommendation or whenever a blogger’s opinion may be financially motivated in any way. More importantly, I have a desire to always be transparent and honest with readers and to disclose how I make money from this website. I am a Consultant with Beautycounter. I earn a commission from products purchased through my personal website. Besides Beautycounter, at this time, I don’t make any money on any other product recommendations unless I state it in my post. All my recommendations are based on my research and my opinions.